To complete the costume above here are the items you will need, you could change out the wig, tights and shoes for your own unique look. 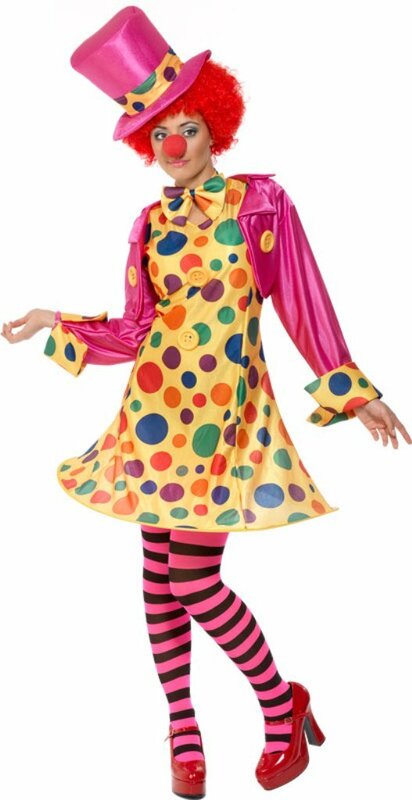 Apart from the wig, all the other pieces are pretty good quality products that should look good and are not just made for dress up times like a fancy dress party or Halloween. 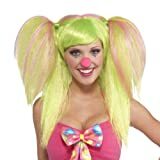 Just the right look for Sweeties Lollypop Lilly, but the quality might not be the best. Check the videos above for some tips in getting the wig to look right. If you will be walking around and the weather is cool, these thermal opaque tights will keep you looking good as well as warm. 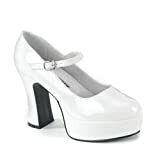 If you don't already have a nice pair of platform pumps, these ones from Funtasma are adorable. A quality shoe that you can wear on other occasions as well, not just for dressup. While this takes care of most of the accessories, but you will still need buy a few more things to complete the look, this includes the wig and the shoes. 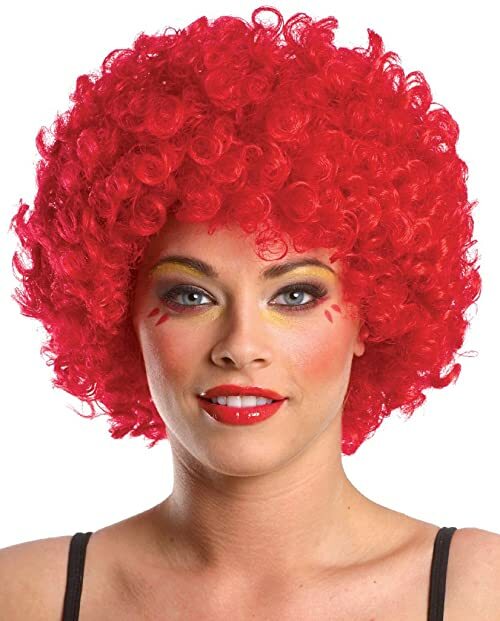 This great red clown wig that is both comfortable and has a great Afro look. The quality is pretty good for the price. You will also need to add a pair or red platform Mary Jane's. 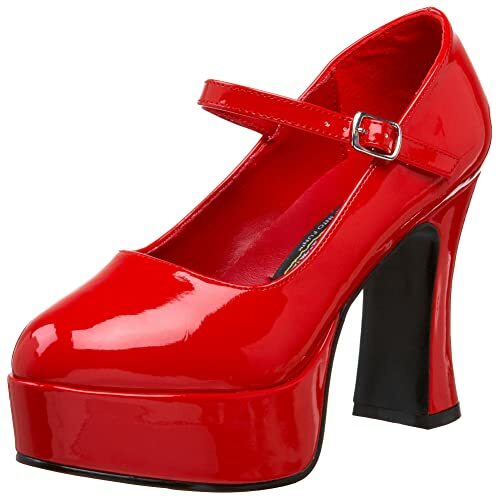 This nice red platform shoes will round up this look just right. 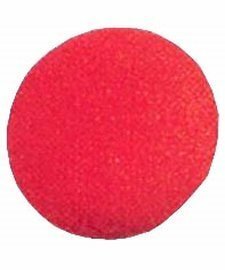 And of course a nice red round nose. If you want an exact copy of the look above, these pink/black striped tights are nice and opaque -- pretty good quality too. Just so you know, those black shorts on top is not included.